Okay, if you are not using ebates to make online purchases you should be! If you don't know what ebates is let me explain. You get cash back on every online purchase. Each store offers a different amount of cash back. For example, vistaprint offers 5% back. So I login to ebates and enter vistaprint in the search box. A box pops up with different coupon codes that you can use for their website.So not only are you getting cash back, you can use coupon codes to save more money. 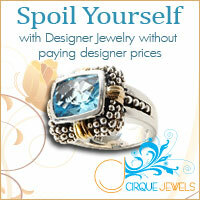 After you make your purchase you should receive an email within the next few days that you are getting cash back. Ebates pays you your cash back through paypal four times a year. I used ebates to purchase my airplane tickets to Maui last year. I got a nice chunk of change back that pay period. I also use ebates to buy hotel rooms through hotels.com. There are a lot of stores listed through ebates so if you tend to make lots of online purchases then please go sign up and make some money doing what you already do! So I used to love to scrapbook! I would spend hours working on my sorority scrapbook and my personal one. Then I started working in the real world and found out that I had less time to do the things I once enjoyed. But then I discovered digital scrapbooking and now I get to still be creative but now it doesn't take me hours to to work on a couple of pages. I was introduced to My Memories Suite software and the My Memories website. If you were ever curious about digital scrapbooking software then you have to check out My Memories! You can design cards, calendars, and blogs with this software. They have kits, designs, word art, etc.... for all occasions and holidays! Alabama fans would love the LeeLou Designs - Lundstrom Park kit - lots of red, black, and houndstooth prints! As a Tennessee fan I am quite smitten with Scrap Basics - Orange!!! They even have free kits! My Memories is rewarding my readers with a special discount! Just for using this link, you get $10 off the purchase of My Memories Suite Scrapbook software AND a $10 coupon to use in the My Memories store!!! Just click on the image and enter the following code into the coupon code box to get this awesome discount! the code is STMMMS80083 -You MUST enter this code to get the discount! Just copy and paste it! Now on to the giveaway! One reader will win this My Memories Suite software! 1. Follow this blog and leave a comment telling me you are a follower. 2. Go to the My Memories website and come back and let me know what your favorite kit/element is. The winner will be chosen Saturday, February 11, 2012 at 12pm central standard time. Good luck! December 1st I got a phone call from my husband saying he was bringing something home. The way he said it had me a little scared. Then he told me what happened. One of his employees is known for taking in stray animals. The wife had gotten home and pulled into the driveway. When she got out of the car she noticed something out of the corner of her eye by the mailbox. It had been raining a lot lately so there was mud and wet leaves everywhere. But over by the mailbox was perfectly clean and dry little white puppy. Someone had literally dropped the puppy off in the yard. They already have 8 dogs so they decided bringing a puppy in would be a challenge. So he brought it up to work and my husband fell in love with this little girl. We named her Lola Belle. Her hair makes her look so much bigger than she really is! Right after her first groomer appt. Her bows didn't last an hour in her hair. I am such a bad blogger. I admit my life is very hectic because I work A LOT! When I am off of work and at home I am probably sleeping. I have been physically exhausted. Even my students have been mentioning how tired I look. Besides for working not a whole lot has been going on. In November my husband and I took a long vacation. We flew to Maui, spent 8 days in Maui, flew to Vegas and spent a whole day and night there before coming home. While we were there we attended the 2011 Maui Invitational Basketball Tournament to watch the Tennessee Vols and Memphis Tigers play. 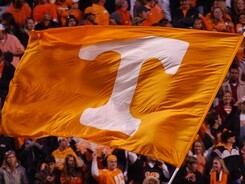 I had to cheer on my alma mater Tennessee while my husband is a big Memphis tiger fan. Here are some pics of our trip! my outfit to cheer on my Tennessee VOLS! We went strolling at an outdoor shopping area. I went to look at a restaurant's menu and found my husband in this store. I started crying when he told me to pick out what I want. I knew it was something we could really afford, but he insisted and even tried to pick one out for me. I decided on the Monogram speedy 30. We visited the North Shore to watch the surfers! Sorry my photos are a little all over the place. I had so much trouble uploading them. More blog posts are coming and even a giveaway! I have been staring at these for the past 2 years ever since we pulled up the carpet. Yes, I know it is hideous. It was the first thing you would see if you came into my house. We decided it was time to spend the money and get them fixed. This is my Christmas gift from my husband. Isn't it so much better?!!! But wait! Here is the finished product! So excited for tomorrow! I will wake up at 9:45 and climb on to my couch to watch ESPN gameday. It always get me so excited for football season! Here is who I will be rooting for this season. Who will you be cheering for? Ever since school let out in May, I have been working - Summer school, bartending, trivia, and serving. I have one more week before teachers have to report back. I am trying to fit in as much sleeping in, working out, reading, and cleaning time as I can. Thursday is my birthday so at least I have one day to indulge! I became a beachbody coach and have been experimenting with my Shakeology shakes that are so yummy. I am one week away from finishing a couch to 5k running app on my iphone. I feel pretty good. Now I am about to start P90X. I am really excited about it and I think it will change my body forever! I will let you know how it goes!